Last week in Wuxi, I noticed a newspaper headline about the bankruptcy of Suntech, one of China's largest solar panel manufacturers. Below the fold was a story about the success of several local car companies and the dramatic rise in their stock values. Was there something that these stories had in common -- and something from them that could help the U.S. economic recovery? By contrast, the other story on the front page of the China Daily was about car makers such as Geely, BYD and Great Wall, all attributing their success to practical market-driven product development and one other key ingredient -- government fleets were buying the domestic products, especially those with the highest fuel economy. As I looked out over the rooftops of Wuxi in Jiangsu province, I saw few solar panels, despite the fact that a significant percentage of the world's production comes from this province and companies like Suntech provide a lot of jobs to China's workforce. I couldn't help wondering how Suntech might be doing today if the local and national governments had taken a page out of the playbooks from California or Germany, using market forces to increase demand for solar energy, beginning with rooftops owned by the taxpayers. This question is brought into sharper focus by two other observations. First, China's new premier, Li Keqiang, pledged that his government would "show even greater resolve" in tackling China's environmental problems, especially it's breathtaking (quite literally) air pollution. One of the primary causes of rising asthma rates in China is the burning of coal to produce electricity. If the excess capacity of Suntech and other solar panel makers was harnessed to generate clean energy, might China tame its air pollution problems faster and maintain its ambitious 8 percent annual economic growth goal at the same time? The second observation is that Wuxi rooftops offer ample evidence that this approach can work. 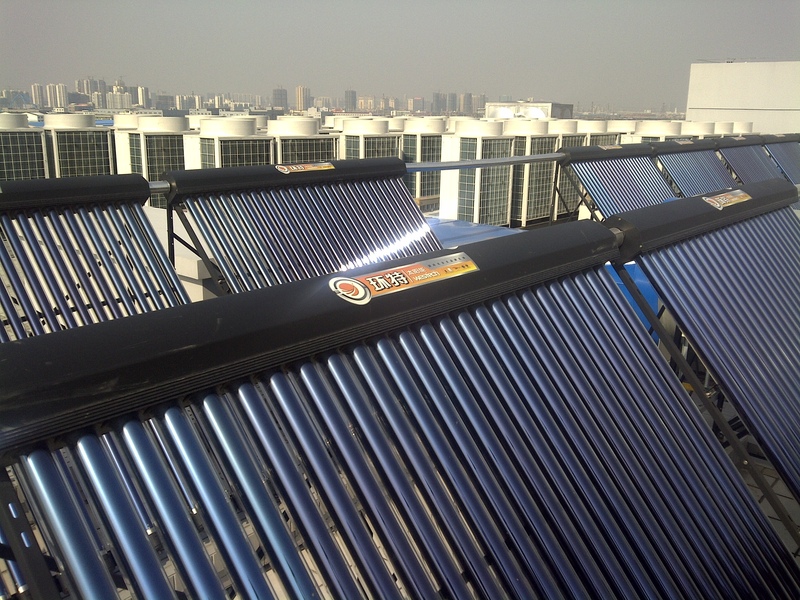 The vast majority of homes, businesses, schools, and government buildings boast solar water heating systems, like those I was shown atop the new Wuxi Environmental Research Institute and the Wuxi General Hospital. These systems provide 100 percent of the building's hot water needs and repay themselves from energy savings in about three years. Westech Solar, a local company, reaps the benefits of this common-sense approach, much like the local car-makers have done by selling to the official fleets, not by looking for subsidies. These lessons are worth noting in the U.S. too. Suntech closed a manufacturing plant in Goodyear, Ariz. Might those workers still have jobs if the state or federal government had become customers and put solar panels on rooftops, increasing energy security and improving air quality at the same time? And before someone complains that this amounts to a taxpayer handout, consider the recent report by the International Monetary Fund that reports $1.9 trillion in annual subsidies worldwide to the fossil fuel industry. Ending those handouts would make solar energy an even better bargain by comparison. But even without the massive subsidies enjoyed by oil and coal, solar energy systems are becoming cheaper by every year. "There's never been a better time to be a solar customer," said E.L McDaniel, managing director of Suntech America. For the sake of American taxpayers, I hope our government procurement officers are listening.